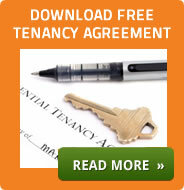 Guarantors stand surety or in other words guarantee rent payments and other tenancy obligations. Anyone over the age of 18 who is willing to vouch for the tenant CAN be a guarantor. The guarantor signature MUST always be witnessed. With residential tenancies, it is common for the Landlord or Agent to ask for a guarantor, particularly when a Tenant has a low credit score or considered a risk category such as students or benefit claimants. The harsh reality is the current economic climate means every Tenant is a risk. Where a guarantor enters into an agreement they normally agree to meet the full obligations under the Tenancy Agreement on the Tenant's behalf. This may include rent arrears, damage to the property, or other liabilities and obligations arising from the Tenant's failure to comply with the lease covenants. The guarantor is contractually bound to accept these legal liabilities of the Tenant and will be sued if they don't comply. As with most types of legal action, claims against guarantors have been on the increase in recent years, so the role of guarantor is quite an onerous one and not to be entered into lightly. The guarantor would usually need to be a home owner with steady long-term employment if they are to satisfy the requirements of a good credit score, to become a guarantor. Parents of young people or students are often asked to guarantee their children's rent. This, hopefully, is less risky for the parent, as they know that their child can be trusted. However, parents need to be cautious here because joint residential tenancies for students or groups usually carry joint and several liability - this means that the parent is, in effect, guaranteeing all the other residents as well and not just their child! You will need to register with Data Protection, as you will be taking personal details, including bank details from Tenants but the fact is, most people do not comply with this requirement.